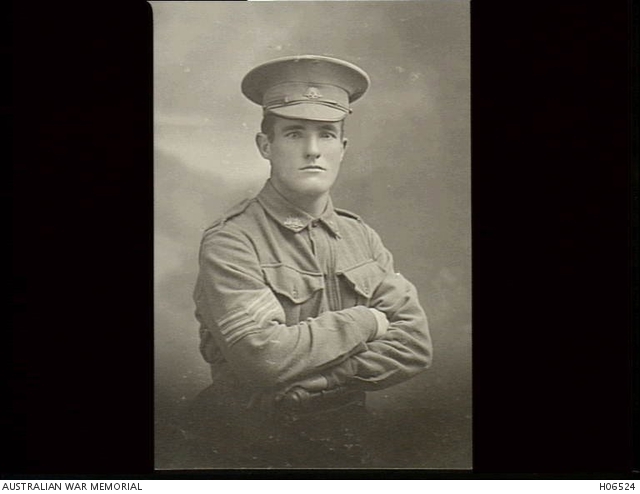 Portrait of Sergeant Major Frank McGraw, 33rd Battalion. Science teacher of Leichhardt, NSW. Died of gas poisoning at Villers-Bretonneux, 25 April 1918, aged 28.